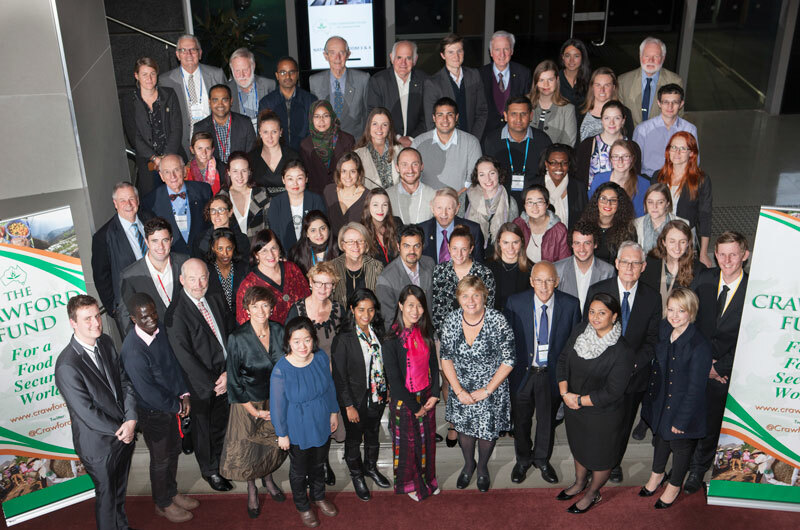 As part of the Fund’s efforts to encourage young people in their study, careers and volunteering in international agricultural research, conference scholarships are offered to young Australians with a genuine interest in international agricultural development, to attend the Crawford Fund conference in Canberra. The awards are made through our State and Territory programs. Eligible costs to be met from the scholarships include conference registration fees and related reasonable transport, food and accommodation costs. Full details on eligibility and the application process are here. Our conference this year runs over 7 and 8 August in Canberra and is titled “Transforming lives and livelihoods – the digital revolution in agriculture”. We will be addressing the current and future likely impact of the data revolution for smallholder farmers. The conference will be launched in June with the full program and registration. Dr Lindiwe Majele Sibanda, a global leader in agriculture, climate change and nutrition, will be presenting the Sir John Crawford Memorial Address at our networking dinner on Monday, 7 August. Dr André Laperrière, Executive Director of the Global Open Data for Agriculture and Nutrition and Dr Andy Jarvis, who is leading the CGIAR Platform for Big Data in Agriculture, are this year’s keynote speakers. Or contact Cathy Reade on: 0413 575 934; cathy.reade@crawfordfund.org. You will also be able to donate to the scholar program as you register for our conference.